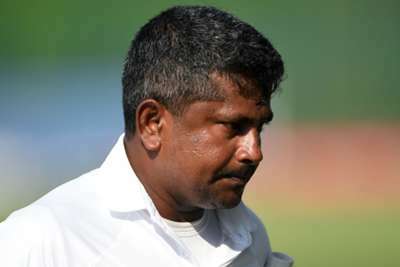 Rangana Herath will retire after the first Test against England in Galle, Sri Lanka Cricket (SLC) has confirmed. The left-arm spinner sits 10th on the all-time list of wicket-takers in the longest format and is primed to move further up the order in his final appearance. Herath has claimed 430 wickets in 92 Tests but could potentially overhaul Richard Hadlee (431), Stuart Broad (433) and Kapil Dev (434) in the series opener, which begins on November 6. SLC announced the 40-year-old's retirement plan in a tweet from their official account, as well as showing their appreciation for his efforts by adding #ThankYouHerath. Herath will end his Test career where it started, having made his debut against Australia at Galle in September 1999. The slow bowler has claimed 34 five-wicket hauls, while his career-best match figures of 14-184 - which included taking nine in the first innings - came against Pakistan in Colombo four years ago.